PlatinumGames, the developers of the upcoming Xbox One exclusive, Scalebound, are famous for their flashy action titles. Not just any action titles mind you – we’re talking about the likes of Vanquish, Metal Gear Rising, and Bayonetta (to name a few) – all of which are also renowned for their top-notch, tight combat. I got to see a little more of studio’s latest project at Gamescom, beyond the gameplay footage the rest of the world saw during the Microsoft conference. 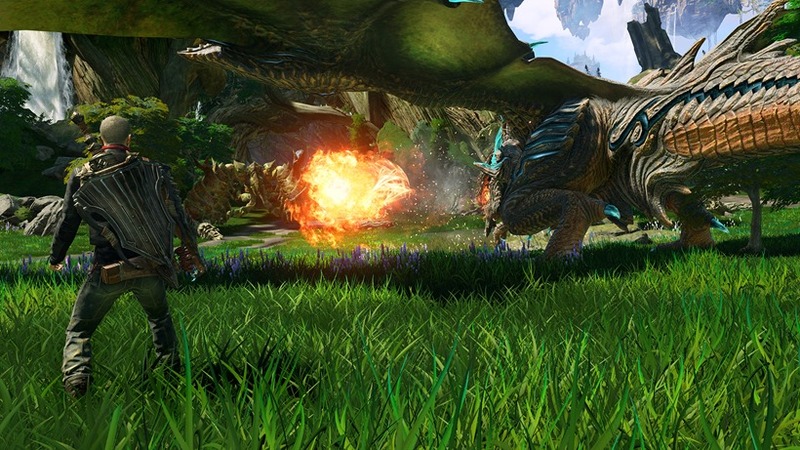 All I can say is damn… Scalebound is looking good! Alessandro and I both agree that the Scalebound looks like the lovechild of titles like Final Fantasy and Devil May Cry. We aren’t too far off I reckon – the game’s director, Hideki Kamiya, directed the first game in the latter franchise. 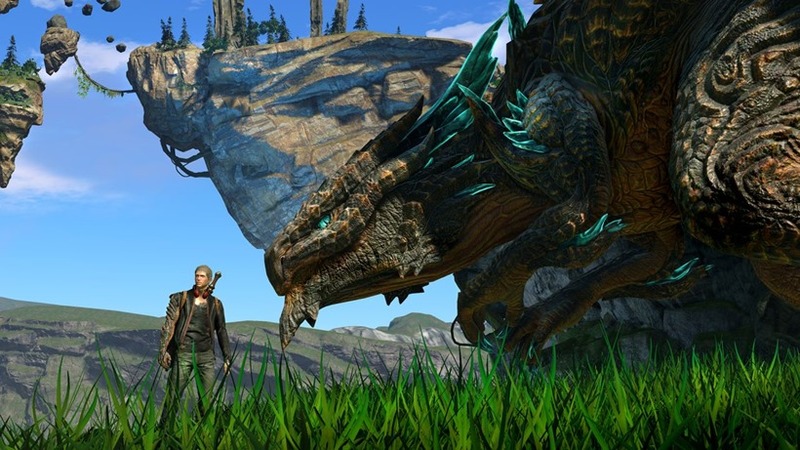 The very first thing he said in the presentation too is that while PlatinumGames love their action titles – Scalebound will have more of a focus on RPG. In our previous games, we wanted gamers to focus on perfecting the handling of the characters. If you think of Bayonetta for example, she was at the top of her game in a sense. 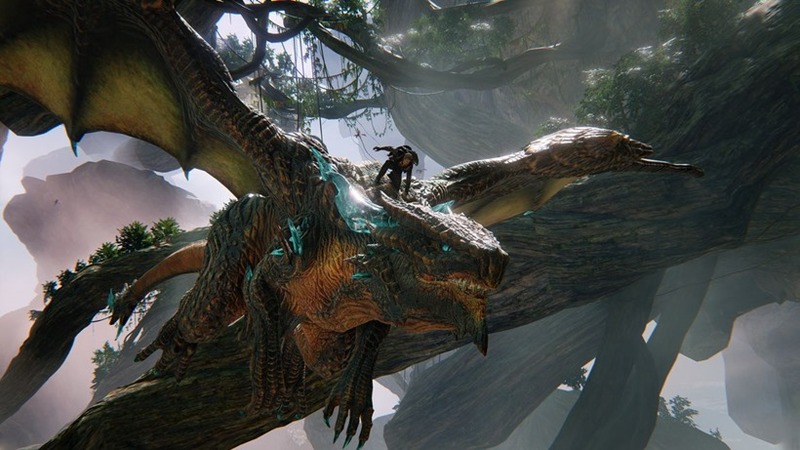 In Scalebound, we want gamers to watch Drew (the protaganist) grow. We want them to see him honing his skills and getting stronger. I think that’s all cool and everything, except I really dislike Drew. There’s something about him that puts me off. That just my own personal gripe however, and something I can easily forget when I look at the world of Draconis where the game takes place. Even for a pre-alpha build, It looks simply spectacular, and is just begging to be explored! Drew was transported to this beautiful land from earth, where his right arm transformed into something… er… a little more scaly. 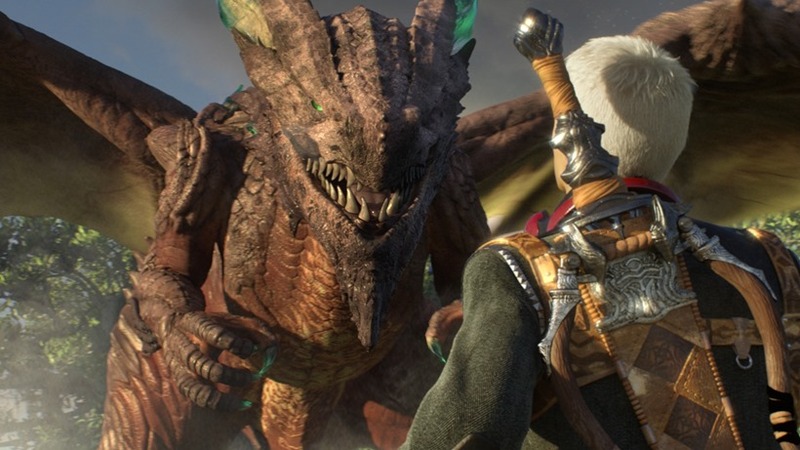 This is to signify his connection with Thuban, a dragon who will accompany him throughout the game. And I only use the word accompany because, unfortunately, Thuban can never be controlled by players. All they can do is provide him with some light commands; go here, attack this… that sort of thing. Beyond that however, he is far more than just a travel companion. Thuban will help you beat the stuffing out of any enemy that gets in your way, at least, in most parts of the games. Others see Drew and his dragon pal splitting up – not by a large margin, but enough so that Thuban can do nothing more than provide covering fire from afar. That’s alright though, because Drew is perfectly capable of looking after himself. He makes use of an energy called pulse (as does Thuban), which just so happens to be powering the land of Draconis. The pulse is changing the land, and is the reason for the twisted trees and the random floating islands that can be seen dotting the landscape. I’m not entirely sure why Drew gets to make use of this power, but he does, and with great effect. In the presentation, he alternates between firing off these pulse shots and making use of his bow and arrow to dispatch any oncoming creatures. If they get too close, he switches to his sword and cuts through them. He can even make use of an alternate dragon form, which ramps up his pulse damage significantly. Drew obviously works best with his dragon pal though. When a big creature appears, they need to work together to take it down. Once defeated, it explodes into gems. Kamiya explains that these all go toward customising abilities and levelling them up. The gems form up an interesting mechanic beyond making Drew stronger. During the whole presentation, I kept thinking that Thuban was a tad too strong – especially against the cannon fodder creeps. Players are encouraged to save the dragon for stronger enemies though, simply because if he attacks smaller ones, the opportunity to farm gems is lost. Apparently the fire he breathes is that hot. It sounds like a silly explanation or excuse, but it is a nice way to dissuade players from relying on Thuban to do all the work while they watch idly. Why should he have all the fun? 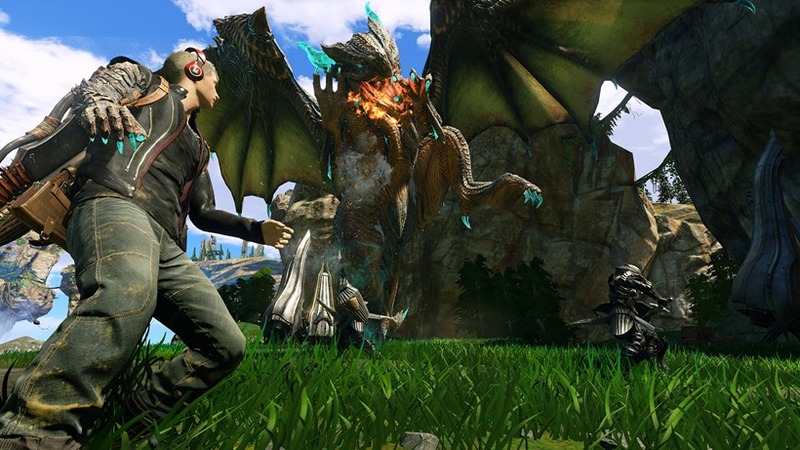 One surprise out of Gamescom was the announcement that Scalebound will feature four-player co-op. After the session, a journalist did ask for more detailed information, but apparently nothing extra can be revealed at this stage in time. What we were told is that customisation in the multiplayer will focus more on the dragon and what it looks like. The player’s avatar however, if I understood correctly will remain Drew in appearance. PlatinumGames are doing this so as to remind people that they are playing through Drew’s story. This makes me wonder if there will be any exclusive multiplayer content, or if players will only be able to play through a main campaign together. I don’t think it will matter… teaming up with friends and dragons sounds kind of glorious. Throw in a mix of pulse abilities and regular weapons, and you have a recipe for a lot of fun! I left my Scalebound session feeling nice and positive. The game looks good for sure! The best we can all do now is wait patiently for late 2016, when we can finally step into Drew’s shoes and learn how to train a dragon.